Positive Reinforcement Training is often also called Clicker Training! However, I prefer not to use the latter term because, in practical terms, ‘Clicker’ Training is a very small and somewhat limiting subset within a much larger ‘Positive Reinforcement’ Training pond. Positive reinforcement training is essentially, reward-based training. It involves marking and rewarding (reinforcing) the behaviours we like to encourage them to happen more. We mark them with a distinct sound (also known as a ‘Bridge Signal’). This can be a clicker in some cases, but can also be a verbal bridge signal instead. Whichever unique sound it is, it will need to be classically conditioned to indicate to the horse that a reward is on its way. The reward used must be of motivational value to the animal so it motivates them to produce behaviour in order to seek out and gain that valued reward. By using this bridge signal, we can be far more precise with our reinforcement of behaviours we like. By marking at the right time, we can shape behaviours to be larger or better quality in any way we would like. There are 7 different ways to encourage and create behaviours to happen so that we can then positively reinforce them. We can capture them when they happen naturally, or we can set them up to happen with targeting or luring (following either a target or a food reward to produce the behaviour) and then grow them gradually with shaping. Once the behaviour has been positively reinforced and is happening consistently, the animal will usually begin to "offer" it to you, at which point, you can then put it on cue. Cues can be anything you like – a language entirely unique to you and your horse! They can be verbal, visual, tactile or situational. Positive Reinforcement Training isn’t as clinical as being purely about creating or eliminating behaviours but rather a wholistic way of working with domesticated animals which is safe and healthy for them both physically and emotionally. All relationships are formed and maintained as a result of emotional feelings and connections. The relationship we have with our horses is no different. It is classically conditioned based on how they feel when they are with us. If, when we are around, they experience good feelings because they are enjoying themselves emotionally (appetitive) rather than experiencing uncomfortable feelings or being anxious due to needing to look out for when something unpleasant might happen (aversive), it adds up over time and has a cumulative effect on our relationship with them. As an example, if they find themselves experiencing lots of hard physical work, experience any pain and discomfort or even feel that they are coerced into doing things they would not choose to do themselves whenever we are around, they are going to associate us with feeling that way. If instead, when we are with them, they get food, tactile touch or scratching which they actively choose to seek out or they get to problem solve, make choices and generally enjoy themselves, they will start to look forward to the time spent with us because our presence begins to predict (classically condition) those good things and positive experiences, emotions and feelings. 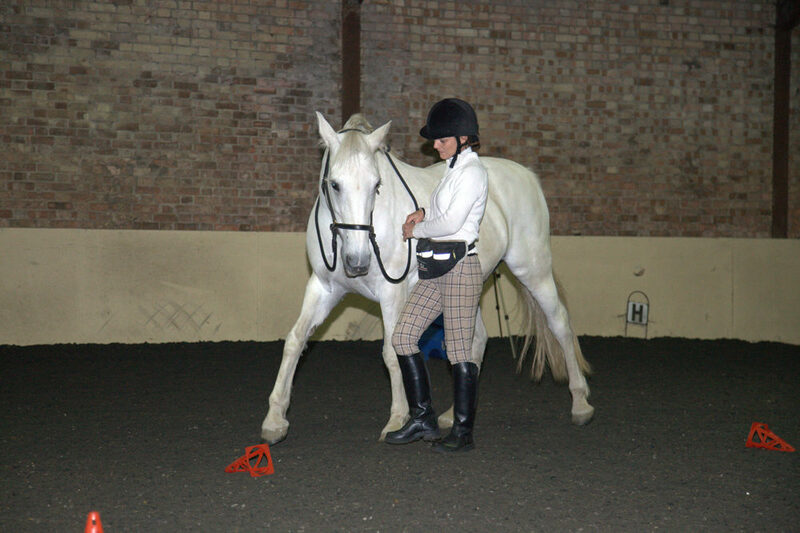 Making use of positive reinforcement within your training develops your horse’s confidence and optimism whilst building a relationship with you that can be trusted and relied on to be consistently enjoyable. I know there can still be great stigma associated with using food within training horses, often because of the worry that everything becomes about the food, or that it may produce an unmannered, pushy horse who bites, or that it devalues the behaviours we teach because they aren’t doing it for us because they genuinely want to. However, if we can re-frame our thoughts and think of training as being a way of simply motivating our horses to reliably give us a set of desirable behaviours, it can lead us to view the use of appetitives such as food or a nose wiggling scratch in a very different way. Each time we use appetitives to motivate those trained behaviours to be ‘offered’ by the animal, they are choosing to seek out and gain that valued appetitive reward. And that means we are also facilitating and growing a relationship based on trust with them at the very same time. If your horse is feeling good about themselves, they are in control of their own choices, they are having fun, getting food, enjoying spending time with you, playing games, choosing to interact, it’s you and your relationship which is being classically conditioned with good, enjoyable feelings. Who wouldn’t want to their relationship to be classically conditioned that way! Jo began using positive reinforcement training techniques back in 2006 and hasn’t looked back. Impressed by the incredible level of communication it creates, the trust within the relationship which it fosters as well as the wonderful changes in the animal’s motivation and emotional wellness (willingness, confidence and enthusiasm), today it forms an integral part of Jo’s training, coaching and behaviour consulting. For students who can’t access Jo for one-to-one live positive reinforcement sessions there is The Academy Club, an online membership college focused on reward-based training. Jo Hughes and her Associate Trainers would love to welcome you to The Academy Club which is bursting with home study courses, personalised one-to one online coaching, training videos, video-logs, live and recorded webinars, Q&A’s exclusive Facebook support groups and a fantastic international membership community. 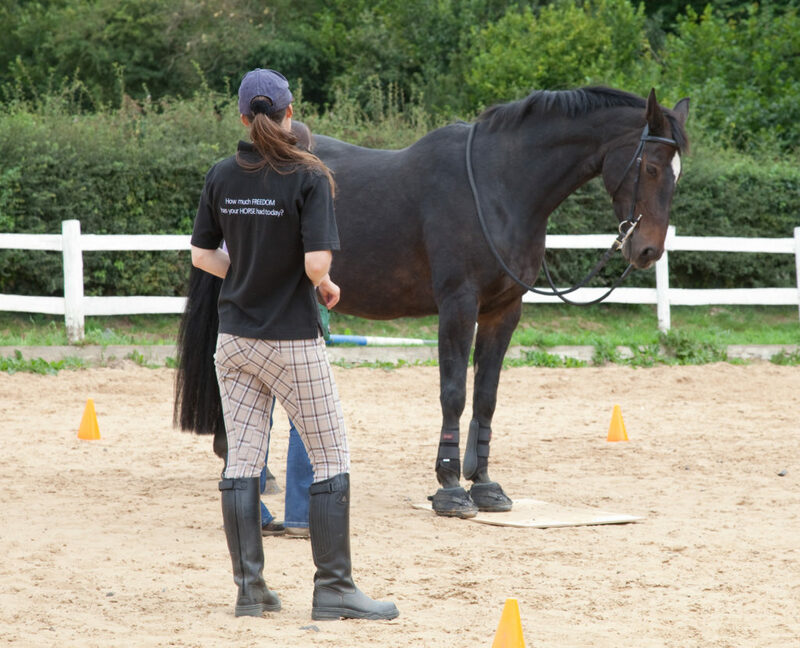 Jo continues to learn and study (and will do forever more) from many animal trainers, not just equine-based ones, and draws on all her learning and experiences across a wide variety of areas. If you would like to organise an event or book live coaching, please contact Jo directly.